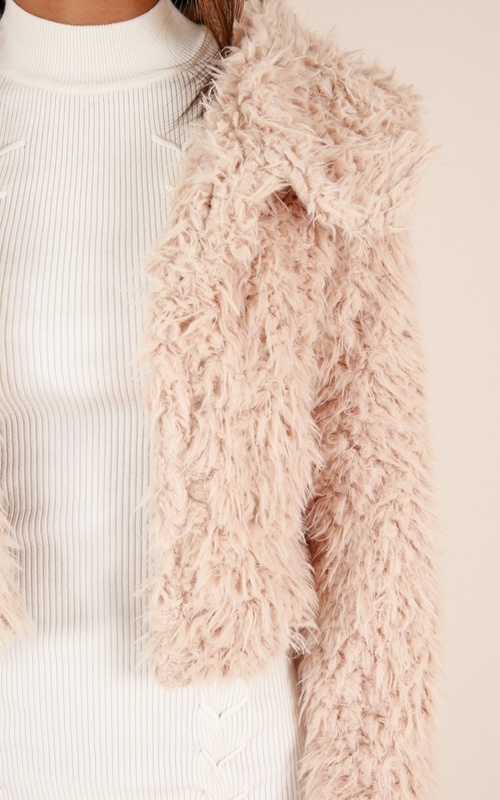 We can't get enough of this super soft and cosy jacket! Keep yourself stylish and comfy this season. Complete the look with some high-waisted jeans and heeled boots! This jacket looks much cheaper in person! Uncomfortable too. The size ran small. Jacket didn’t look like style shown on website nor was it even the same colour! The website portrays the jumper to be almos pink but mine came and it was brown so I’m pretty disappointed. This jacket is so soft!!! I love it, it's super cute. I went a size up from usual so that I could wear thicker clothes underneath which I think was a good idea. I love it.